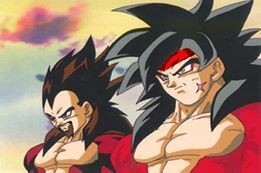 ssj4 bardock and king vegeta. . Wallpaper and background images in the Dragon Ball Z club. does any one even comment on pics any more?